The American Academy of Pediatrics (AAP) recently published a study about the effects of marijuana on babies because marijuana has been found to be one of the most commonly used substances during pregnancy in the United States. Who uses Marijuana during pregnancy? With an increase in legalization of marijuana in many states, some pregnant moms are turning to the drug for relief of nausea associated with early pregnancy. 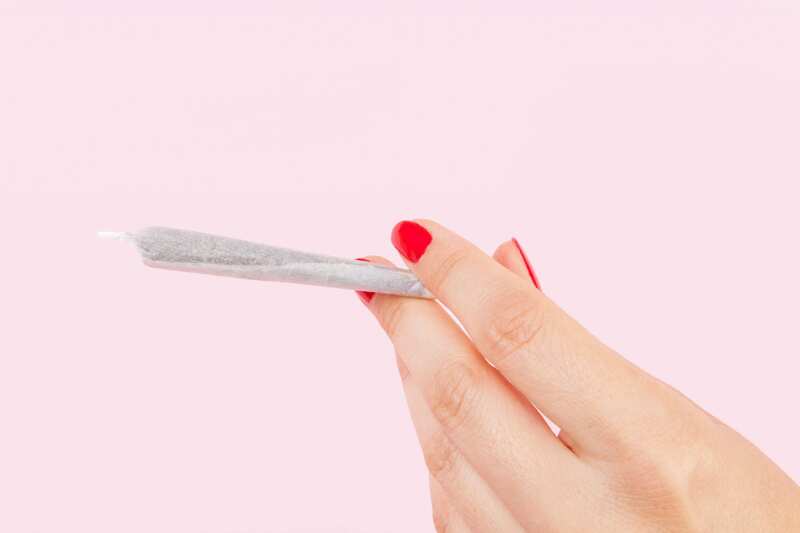 Statistics vary significantly among different socioeconomic status, geography, and age of moms, but the AAP reports that up to 9.4% of women admit to some form of marijuana use during pregnancy (Ryan, Ammerman, O’Connor, 2018). The highest use rates are reported between the ages of 18 and 25. The highest concentration of marijuana users among pregnant moms in one state appears to be Vermont with 9.4% of pregnant moms reporting marijuana use. Tobacco use, on the other hand, is down during pregnancy, falling from 19.9% of moms using tobacco to 12.8% (Passey, 2014). 60% of moms who use marijuana report that they believe it is less dangerous to the baby than tobacco (Passey, 2014). Whereas moms who typically use cocaine, ecstasy, or other stimulants typically stop using them by the second trimester, 48% of marijuana users report using marijuana through the entire pregnancy (Ryan, Ammerman, O’Connor, 2018). Why do moms use Marijuana during pregnancy? The AAP reports that because marijuana use is being touted on the internet as a safe means of reducing nausea during pregnancy, this has become a significant concern. Currently there is no scientific data to back up this claim that marijuana alleviates nausea and vomiting during pregnancy (Ryan, Ammerman, O’Connor, 2018). So, that gives us a little bit of background on who is using marijuana, now let’s examine what it might be doing to the unborn baby. What are the effects on the baby with use of Marijuana during pregnancy? One study found that the cannabidiol in marijuana can cause the fetus to have increased exposure to marijuana and other potentially toxic substances because it makes the placenta more permeable, so it allows passage of chemicals that would otherwise be blocked. An additional study tells us that the marijuana does cross the placenta and it does get into the baby’s blood stream. Through the baby’s blood stream, the THC molecule in the molecule then travels to the baby’s brain (Ryan, Ammerman, O’Connor, 2018). Some studies have found that the THC in the baby’s blood is approximately one third to one tenth of the concentration in the mother’s blood. Additionally, studies have found that when moms smoke marijuana, the serum carbon monoxide concentrations in pregnant women are five times higher than those who smoke tobacco products and this affects the amount of oxygen the baby gets and could negatively affect the baby in the womb (Ryan, Ammerman, O’Connor, 2018). It is very difficult to study the effects of marijuana alone because many users of marijuana also use tobacco, alcohol and other substances, so more precise studies need to be completed. A review of the literature and one study in particular, found that babies born to moms who use marijuana often have lower birth weight, smaller head circumference, smaller birth lengths, and higher incidence of admission to the neonatal intensive care units (NICUs). Studies also found that babies exposed to both marijuana and tobacco in utero were more likely to experience adverse reactions. Additional studies have found that babies who were exposed to marijuana in utero had higher pitched cries and abnormal sleep patterns (Ryan, Ammerman, O’Connor, 2018). There have been two longitudinal studies conducted to evaluate the long-term implications of marijuana use during pregnancy and the results show that children age four and up who were exposed to marijuana in utero show lower scores in verbal reasoning and memory tasks. Some studies showed that children at age six who were exposed to marijuana, compared with non-exposed children in the control group, showed deficits in language comprehension, memory, visual and/or perceptual function, and reading tasks that require sustained attention. Children exposed to higher amounts of marijuana prenatally demonstrated higher dysfunction on impulsive and hyperactive scales. In older children, deficits were found in impulse control and problem solving when they were exposed to marijuana in utero (Ryan, Ammerman, O’Connor, 2018). What about Marijuana use during breastfeeding? Marijuana use is a consideration for breastfeeding, as well. Studies show that marijuana does cross into the breast milk. Studies regarding the outcomes of the marijuana in breast milk on baby development are largely inconclusive, but it is still recommended that mothers breastfeed their babies. It is also recommended that mothers refrain from smoking or ingesting marijuana while breastfeeding. Studies show that the potency of marijuana is much higher today than it was ten years ago and new practices of ingesting it through vaping and dabbing increase the concentration of THC even more (Ryan, Ammerman, O’Connor, 2018). Additionally, marijuana is often grown with toxic pesticides and the unborn baby and the breastfeeding baby can be exposed to these toxins as well. Marijuana during pregnancy and breastfeeding: is it safe? Legalization of marijuana can give the false impression that it is safe, but there simply are not enough studies to prove that it is safe for unborn and/or breastfeeding babies. Further research is needed, but the AAP states that marijuana use among women who are of child bearing age or breastfeeding is strongly discouraged. Ryan, S., Ammerman, S., O’Connor, M. (2018). Marijuana use during pregnancy and breastfeeding: Implications for neonatal and childhood outcomes. Pediatrics. The American Academy of Pediatrics Clinical Report.